Departure Dates: Dates are flexible and customizable for private departures. +Morning: Upon arrival at the airport, our friendly tour guide will meet and take you to continue travelling to Danang. We’ll stop at My Khe beach on the way for sightseeing. It’s a chance of enjoying the beauty nature here with sunny, white smooth sand, nice wave, cool water and fresh air. You can also learn about the life of local by watching the fisherman do their work with net on the sampans. + Afternoon : Transfer to Hoi An. Hoi An was one of South East Asia’s major international ports and today it still retains that special old-world feel. During a guided walking tour through the ancient city center of Hoi An town, we visit the Chinese Assembly Hall and Temple (kwan or Phuc Kien Temple), Ancient Houses (Tan Ky or Phung Hung House), Japanese Bridge and cultural show rooms: Quan Thang House (Sa Huynh Museum or History Museum). + After breakfast, we’ll travel to My Son – Holly land of the former Cham Kingdom (the ruins of the former Cham Capital in the 4th century). Widely known as UNESCO World Heritage, My Son Santuary includes a cluster of abandoned and partially ruined Hindu temples constructed between the 4th and the 14th century AD by the kings of Champa. When visit there, you will get more valuable experiences about ancient architecture and Vietnamese history. + Transfer back to Danang and visit Marble Mountains and Danang Beach. + Dinner and overnight in Danang. + After breakfast, we’ll enjoy the natural forest and waterfall from above. + We’ll take 4 hours to drive to Hue. Stop at Hai Van pass to have a spectacular view of mountains, beaches and villages with fruit orchards. + Dinner at local restaurant and overnight in Hue. + Morning: we’ll take a boat trip on the romantic Perfume River to visit Hue’s best-known religious site, Thien Mu 7-storey Pagoda, following with the visit of Imperial Citadel and Imperial Museum. Inside the Imperial City was the imperial palace called the Purple Forbidden City in VietNamese, a term similar to the Fobidden City in Beijing. + Afternoon: We’ll visit one of King’s tombs: Tomb of Tu Duc / the Tomb of Khai Dinh / Minh Mang tomb. All of which are excellent examples of Vietnamese Buddhist aesthetics and architecture. Next, explore the local production Conical Hat Making and Incense Making Village. Take a quick shopping tour on colorful local Dong Ba Market. + Free at leisure to enjoy the beautiful beach, sunshine and fun activities on the beach. 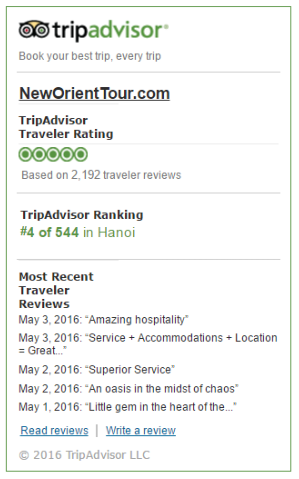 + Overnight in Nha Trang. + After breakfast, we’ll transfer to Danang city. + Visit Cham Museum, then go across the Thuan Phuoc Bridge to visit Son Tra Peninsula named as Monkey Moutain and Linh Ung Pagoda. 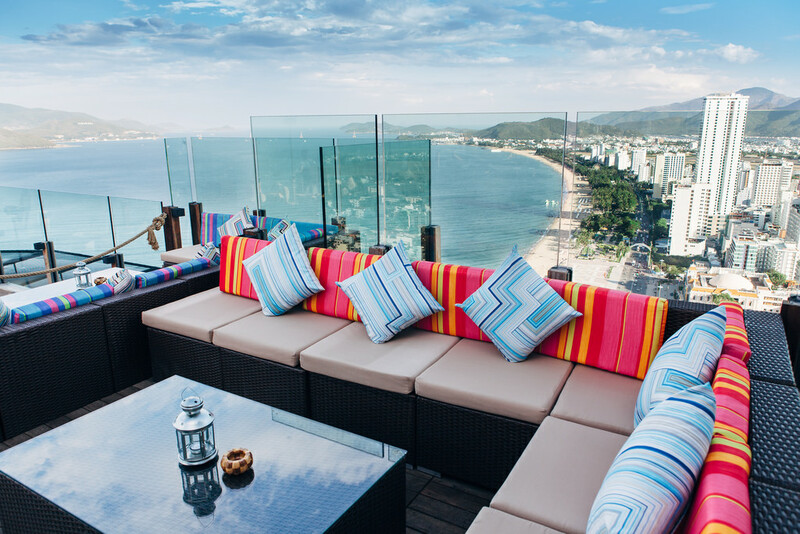 + Free at leisure to relax and go shopping around Danang City. After breakfast, free at your own leisure until meeting time for transfer to airport for flight departure. When you plan your trip with us, you’ll be in the safe hands of one of our specialists throughout. Feel free to check out the itineraries on our website and find one itinerary which is matched with your travel plan and interest. Then fill out the form on the right side of your itnerary page and click the submit button. After that, you can get to the next step. Speak to one of our specialist with your personal interest, travel plan and budget. We will answer your questions and offer suggestions sincerely. After you are clear about your trip, and if you are ready, we will start plan your trip in detail according to your requirement anytime you want. Your personal specialist will carefully design your trip into a detailed itineray with country facts, maps, accommodation, facsinating photos and a price. And we will keep perfecting your itinerary until you’re totally satisfied and ready to book, at which point you pay your deposit. After your booking, you can call your specialist with any last questions about your trip and we will give you a call a few days before your travel time. If you have any problems during your trip, you can feel free to contact us, we will try our best to solve for you. Just hope you can enjoy your tour.